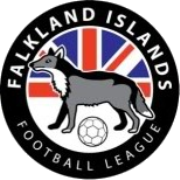 This is my take on the Falkland Islands Football League. Argentina didn't want the nation playing in CONMEBOL so the FA had to join the North American federation CONCACAF. 8 playable club teams, all playing out of 1 stadium, Youth League teams play at 4 outside training pitches. This was only made for a bit of fun but I hope everyone enjoys it. Can they play friendlies and cup ties with your Scilly Islands teams? They play in South America then ? ?